As you might expect for a park themed to country music icon Dolly Parton, Dollywood offers plenty of live music and lavish stage shows. In fact, it may have more stages and live entertainment than any other theme park. As you might not expect, it also offers some great thrill rides, including the record-breaking launched wooden coaster, Lightning Rod. While she's the inspiration, the park that bears her name doesn't focus exclusively on Dolly. The Smoky Mountains and its people also take center stage. Blacksmiths, glass blowers and other craftspeople demonstrate the area's traditions. And the region's southern delicacies, including fried chicken and freshly prepared pork rinds, elevate Dollywood's food a notch (and in some case, several notches) above typical park fare. It may not be on the level of Walt Disney World or Universal Orlando, but with its distinct, charming ambiance, attention to detail, exceptionally friendly staff and well-deserved reputation for its overall guest experience, Dollywood is much more than a typical regional amusement park. As it has grown through the years, it has evolved into a multi-day experience. You could easily spend two days exploring everything. The separate-admission Dollywood Splash Country water park offers plenty of fun as well. With the addition of the DreamMore Resort, Dollywood is now a destination resort. 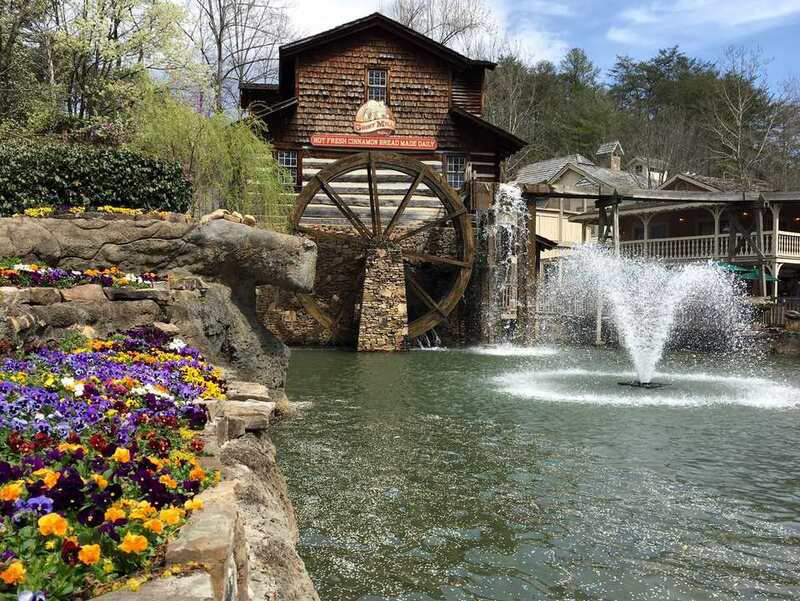 Located in the foothills of the Smoky Mountains in Pigeon Forge, Tennessee, Dollywood is centrally located and easily accessible to a large swath of the country. To get there by car, take I-40, to Exit 407 toward Gatlinburg / Sevierville / Pigeon Forge on TN Hwy. 66S, which becomes US 441. Take a left at the eighth traffic light in Pigeon Forge, and follow the signs to Dollywood. The nearest airport is McGhee Tyson in Knoxville, Tennessee. Passes to the theme park include admission to the ride park only, not Dollywood's Splash Country water park (which requires separate admission). Multi-day passes as well as combo passes that include the water park are available. Dollywood offers discounted tickets for seniors (62 and older) and children (age 4-9). Children under age 3 are admitted free. Season pass tickets are available online and at the park. Although it is a seasonal park, Dollywood has one of parkdom's longest seasons. It generally opens in late March and remains open through the end of December with its Smoky Mountain Christmas holiday celebration. During the shoulder seasons, the park features a lot of festivals and special events, including concerts. Leading Dollywood's impressive lineup of roller coasters is Lightning Rod. When it opened in 2016, it took the title of the world's fastest wooden coaster at 73 miles per hour as well as the distinction of being the world's first launched wooden coaster. Woodies can be notoriously rough (the park's own Thunderhead delivers plenty of the characteristic rough and tumble), but despite its wild speed, Lightning Rod is remarkably smooth. Loaded with airtime and wonderful elements such as a quadruple down, it is not only the best ride at Dollywood but among the country's best wooden coasters. Wild Eagle is a particularly potent wing coaster that includes a soaring 110-foot loop. Mystery Mine is a nicely themed ride that includes indoor dark ride scenes as well as two vertical lift hills and a beyond-vertical drop. Tennessee Tornado is a classic steel looping coaster that climbs 163 feet, hits 63 miles per hour and includes a "butterfly" looping element in honor of Dolly Parton's love for the winged creatures. FireChaser Express is a dual launch family coaster. With a height requirement of 39 inches, young children can ride it, but it packs enough of a wallop, including forward and backward launches, to deliver thrills. The park’s oldest coaster, Blazing Fury, is a fairly tame indoor ride that includes old-school dark ride scenes of a town engulfed in flames. Beyond the roller coasters, there are plenty of other rides to experience. Among the compelling thrill rides are Barnstormer, a compressed air swing ride that offers tons of tummy-tickling airtime and Drop Line, a 200-foot-tall drop tower ride. There are also rides for younger children, including some nicely themed ones in Wildwood Grove, a new land that opened in 2019. No visit to Dollywood is complete without a ride on the Dollywood Express, a vintage steam train. The shows and live musical performances are top-notch—not all that surprising considering Dolly Parton's influence. It is a tossup between the entertainment and the coasters as to which is the best reason to visit Dollywood. If coasters are not your thing, the shows are reason enough to go. By the way, if you're a coaster wimp, but want to conquer your fears, there is hope for you. The sheer quantity of entertainment at the park is staggering. You cannot walk more than a few yards in any direction without bumping into a stage. While the lineup of shows constantly changes, the performances are consistently great. As you might expect, the park offers plenty of country music such as the traditional sounds of the Smoky Mountain String Band. A show highlight and a Dollywood staple is “My People, My Music.” It tells Dolly’s story through music and includes members of her family among the performers. Gospel music is represented with the Kingdom Heirs (the Southern Gospel Museum and Hall of Fame is also inside the park and included with admission). Other music genres are represented including oldies and pop. Dollywood is known as much for its festivals as its coasters and shows. The festivals are included with the price of admission. Its season-ending Smoky Mountain Christmas is among the best holiday events at any theme park. It features a dazzling array of lights, a colorful nighttime parade and Broadway-caliber shows. Festival of Nations: The season kicks off in the spring with a celebration of music, food and cultures from around the world. Barbecue and Bluegrass: Later in the spring, the smells of smoked brisket and the sounds of bluegrass music fill the air at the park. Harvest Festival: In the fall, the sounds turn to gospel music and the park welcomes artisans to demonstrate their talents and offer their crafts for sale. Traditional Smoky Mountain artisans ply their trades in the park's Craftsman's Valley. The handmade goods are available for purchase. It is fascinating to watch the craftspeople at work, some of whom practice nearly lost skills. There are blacksmiths, candlemakers, leathersmiths, glass blowers, potters and more. While Dolly Parton may not personally be at the park every day that it is open, she is well represented at its attractions. For example, you could visit Chasing Rainbows, a museum that has artifacts and exhibits from Dolly's career and life. Visitors can also peek into one of her tour buses and walk through a replica of the two-room Smoky Mountain home where she grew up. Heartsong is a film about Dolly and her Smoky Mountain home that includes multi-sensory effects. At far too many parks, food can be mediocre at best. At Dollywood, the food is one of the highlights. Among the offerings are sit-down restaurants, some with buffets, that feature Southern fare. Unique highlights include steak and sausage sandwiches cooked in giant skillets. They make quite a spectacle, and the aroma is intoxicating. Other novelties include humungous pizzas at Lumber Jack's Pizza, and equally enormous apple pies at the Spotlight Bakery. Dollywood also offers delicious barbecue, both at Miss Lillian’s and the Hickory House. Dollywood's water park is not included with admission to the theme park. Regardless, it is nicely themed and loaded with slides and rides, including a water coaster, a bowl ride, a family raft ride, speed slides and an interactive water play area. There are activities for younger children as well. If you are looking for a bit of pampering and privacy, consider renting a retreat or a canopy at Splash Country. They offer shade as well as a guaranteed place to relax between rides on the slides. The on-site DreamMore Resort features rooms that are spacious, comfortable and offer family-friendly touches such as bunk beds and activities for children. The hotel’s Song and Hearth restaurant, which includes buffet breakfasts and dinners, is quite good. The rates are reasonable and include intriguing benefits such as complimentary parking and shuttle service to Dollywood and Splash Country. Dollywood also offers off-site cabins, which can accommodate small as well as large groups. Some of them are located high in the mountains and overlook the park. Many offer features such as fireplaces, full kitchens and nearby swimming pools. If you really want to see Dolly Parton in person, she does visit the park sometimes. Typically, she will appear in the early spring when the park opens to kick off the season and help introduce the new attractions and features. She generally will perform a song or two in one of the shows at the Festival of Nations and appear in the park’s parade on the day that she visits in the spring. There are many places to stay throughout Pigeon Forge and Gatlinburg and you could find lower hotel rates than those offered by Dollywood. Still, you might want to consider staying at the DreamMore or one of the park’s cabins, because they include great benefits and can offer good value. For example, resort guests can purchase two- or three-day Dollywood tickets for little more than the cost of a one-day pass. Both cabin and resort guests get early admission to the park along with complimentary TimeSaver passes that allow them to make ride and show reservations and skip the lines at the parks. One of the most unique and delicious items at Dollywood is its cinnamon bread, which is prepared fresh in the park's fully functioning grist mill. The aroma of the hot-from-the-oven treat is intoxicating. When the lines get really long at Dollywood, as they often do, you could purchase TimeSaver, the park’s line management program. It will allow you to skip to the front of the lines at most rides and take advantage of reserved seating at most of the shows.